Reliable information reaching Biafra writers desk have it that the life of Nnamdi Kanu, the leader of the Indigenous People of Biafra is at stake now!!! They also demanded for the head of the deputy senate president who they consider an a sympathizer of IPOB, Ike Ekweremadu, governor Nyesom Wike and Asari Dokubo as well. 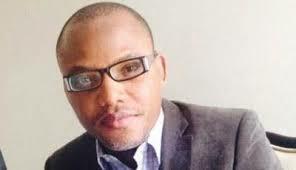 They vowed that they are ready to declare war upon Biafrans if it worse comes to worst. Our source is highly perturbed and out of deep concern for humanity is urging Biafrans all over the world to sound the alarm, and call in on Radio Biafra broadcast tonight to notify the world of Buhari’s evil intention towards Biafrans. We are calling on Amnesty International, United Nations, Human Rights watch and other human right groups to warn Buhari not to touch a strand of their hairs or else everything in Nigeria dies with immediate effect!! !